Good Budget Place ... Very affordable for my budget. It was very quiet at night, nice comfortable beds, fresh linen and extra pillows, all I needed in my room, plus a reasonable breakfast. Hotel de Ela is a family-run hotel located right in the heart of Berlin, only 800 metres away from the largest department store in Europe – KaDeWe. All Berlin’s major tourist attractions are within easy walking distance, i. e. most popular Kurfurstendamm shopping street and Gedachtniskirche are only 4 minute-ride away. In fact, a 5-star Ramada hotel is located near Hotel de Ela – so you are guaranteed a quiet & top location! 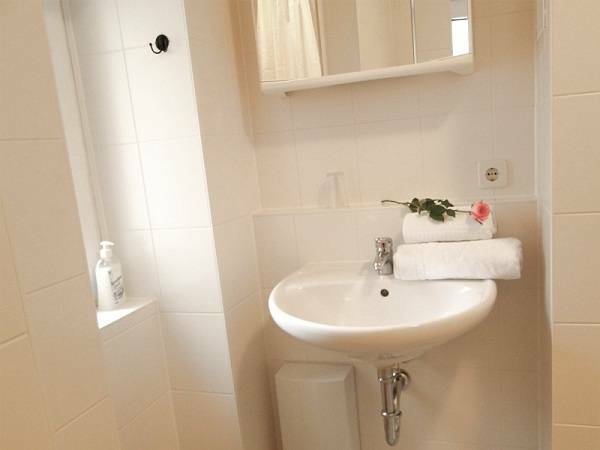 Tube/U-Bahn station is very close to the hotel, only 3-minute-walk away (250 metres). From there you can reach any part of Berlin within minutes, i. e. Zoologischer Garten, Potsdamer Platz, Checkpoint Charlie, Messe, ICC, Bradenburger Tor and other. Hotel de Ela has excellent transport links – train, tube, buses, trams, bicycle routes and taxis can be reached in seconds. The truth is, you do not really need any of these as everything is within easy walking distance anyway! By the way, you can park free of charge next to the hotel. 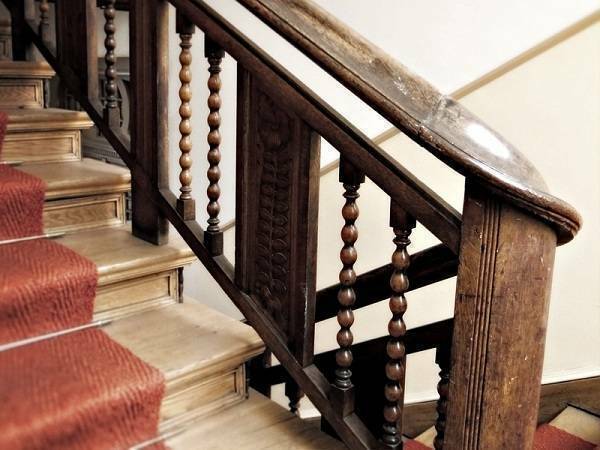 Hotel de Ela is a 2-star hotel housed in a classic 19th century Berlin building. It offers a mixture of modern & classic extra-large spacious en-suite rooms (up to 42 sq. m.); extra-high ceilings (4. 5-metres); huge windows and a lot of space. 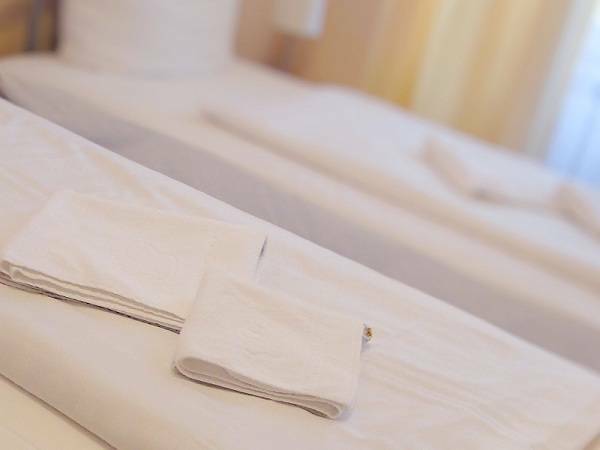 Rooms are equipped with free Wi-Fi, satellite TVs, heating, snow-white bedding, quality mattresses, carpets, lamps, desks, furnishings and en-suite bathrooms. Best of all, you room is cleaned daily! W-Fi is provided free of charge to all our guests. We’ve teamed up with T-Mobile to ensure you can stay connected & on-line whilst in the hotel. Need to use Facebook, Twitter, YouTube, Email or any other internet site? Not a problem, surf as much as you need! Treat yourself with our delicious daily breakfast. Hotel de Ela offers continental breakfast to help kick-start your day with great mood and full of energy. It includes freshly-baked bread rolls, freshly-made coffee, orange juice, selection of fresh fruits (bananas, apples, pears etc), a variety of different sorts of tee, a selection of cheese and ham, toasts, yoghurts, hot and cold drinks, marmalade, honey and butter. Please let us know if you have any special requirements – we’ll be pleased to accommodate your needs! Finally, fantastic customer service, outstanding value for money, quiet residential area, close proximity to bars, restaurants, sport centres, swimming pools, saunas, fitness centres, green parks, museums and galleries as well as multi-lingual staff (they speak 5 languages) are other important reasons why Hotel de Ela successfully continues to beat up its competition! 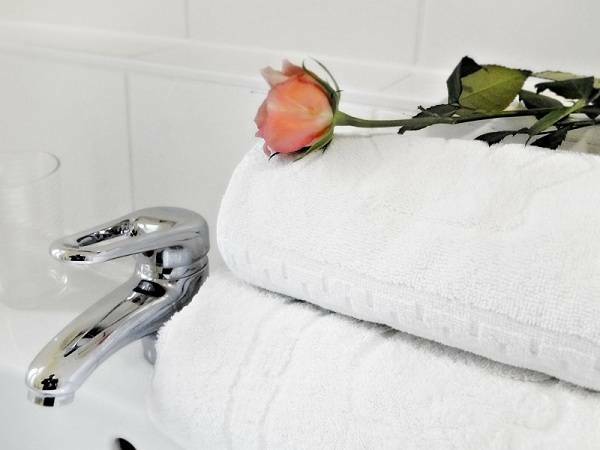 Enjoy our En-suite Comfort Rooms with Shower, FREE Wi-Fi (provided by T-Mobile), remote control-operated TV; 4-meter-high ceilings, extra-large windows, snow-white bedding, modern heating, newly-carpeted floor and brand-new mattresses. Extra pillows, blankets and hairdryer are free of charge and available on request. In the room you will also find a work desk, lamps for reading, chair, wardrobe with quality hangers, curtains and a mirror. Rooms boast classic look and feel, pleasant colors and they are decorated with paintings. All rooms are non-smoking and are equipped with smoke detectors and fire alarms. 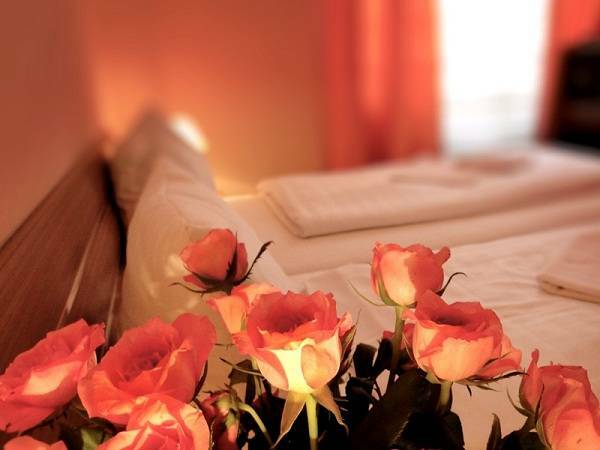 You’ll also enjoy our room and wake-up service, frequent change of your bedding, plenty of space and quiet surroundings. All rooms offer free car parking and Berlin’s central location. Finally, your room will be cleaned DAILY! Please note that bookings can be modified or cancelled free of charge up to 48 hours prior to arrival. After that the total cost of reservation will be charged. How to get to the hotel from Schonefeld airport? Take X7 bus to Rudow. From Rudow take U7 U-Bahn/Tube towards Rathaus Spandau. Get off at Bayerischer Platz. Take U4 U-Bahn towards Nollendorfplatz – go one stop and get off at Viktoria-Luise-Platz. From U-Bahn go upstairs towards Viktoria-Luise-Platz, walk through Motzstrase. In a few minutes you will cross two roads and see the hotel right in front of you. How to get to the hotel from Tegel airport? Take X9 bus to Jakob-Kaiser-Platz. From Jakob-Kaiser-Platz take U7 U-Bahn/Tube towards Rudow. Get off at Bayerischer Platz. Take U4 U-Bahn towards Nollendorfplatz – go one stop and get off at Viktoria-Luise-Platz. From U-Bahn go upstairs towards Viktoria-Luise-Platz, walk through Motzstrase. In a few minutes you will cross two roads and see the hotel right in front of you. How to get to the hotel from the main train station - Hauptbahnhof? Take any train going west/towards Zoologischer Garten, i. e. S3, S75. Get off at Zoologischer Garten. Then take U-Bahn U2 towards Pankow and get off at Nollendorfplatz. There change to U4 towards Innsbrucker Platz and go one stop to Viktoria-Luise-Platz. From U-Bahn go upstairs towards Viktoria-Luise-Platz, walk through Motzstrase. In a few minutes you will cross two roads and see the hotel right in front of you. How to get to the hotel from the main coach station? Take S-Bahn ‘Ring’ service which goes anti-clockwise. Get off at Innsbrucker Platz. Take U4 U-Bahn towards Nollendorfplatz – go one stop and get off at Viktoria-Luise-Platz. From U-Bahn go upstairs towards Viktoria-Luise-Platz, walk through Motzstrase. In a few minutes you will cross two roads and see the hotel right in front of you. How to get to the hotel if you are driving from Berlin city centre? Go onto the Unter den Linden/B2/B5. Then turn left at Friedrichstrase. Turn right at Leipziger Str/B1, then turn right at Pallasstrase. Continue onto Hohenstaufenstrase until you reach Landshuterstrase. Congratulations, you’ve reached the hotel.